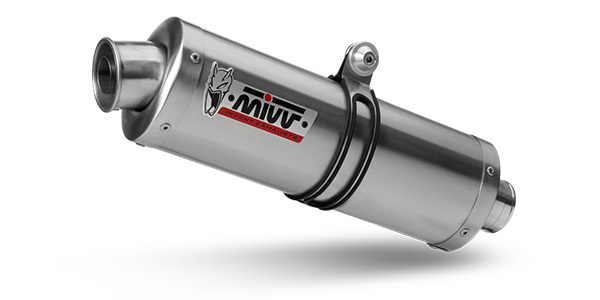 The Mivv Oval range is perfectly suited to all types of motorbikes. All models feature a removable dB-killer. Thanks to its oval shape, it better matches the different motorbike designs. 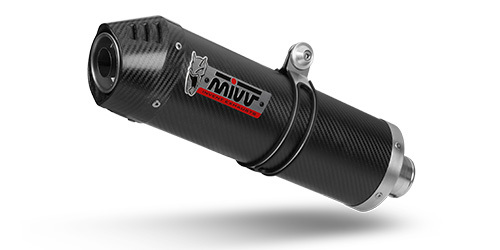 Offered in different materials, it gives the motorbike a more aggressive look. 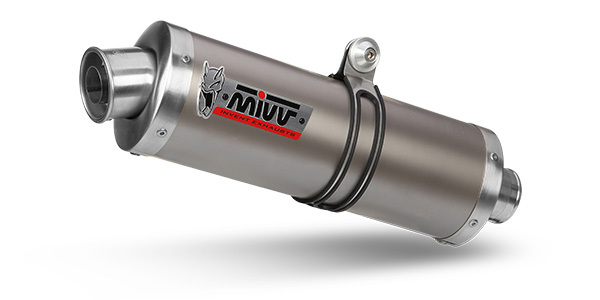 Made with a titanium central body, it provides a 45% weight reduction when compared with the stainless steel version. This makes it particularly suited for those who want a more exclusive product. Made with a brushed stainless steel body. 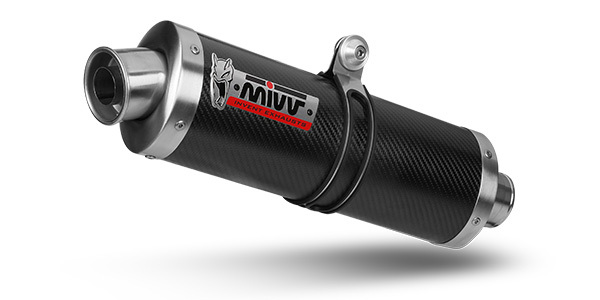 Made with a titanium central body, it features an added carbon end cap, for a more aggressive look. 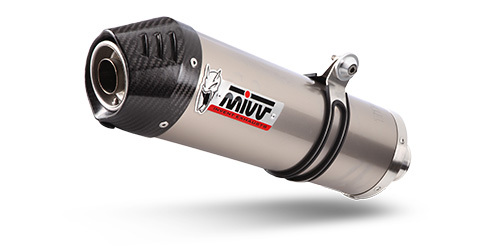 Made with a carbon central body, it features an output bottom also made of carbon, for a more aggressive look.